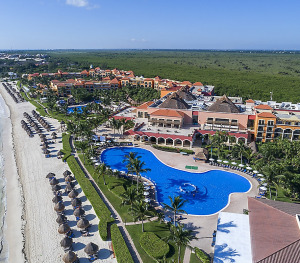 Sandos Caracol Eco Resort & Spa Hotel is located on a beautiful white sandy beach on the exclusive Riviera Maya , only 45 minutes from Cancun International Airport and just 15 minutes from downtown Playa del Carmen . 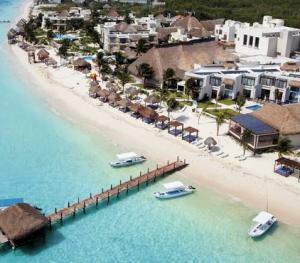 This unique 5-star all-inclusive beach resort features 62 three-story villas with a total of 956 rooms and junior suites. 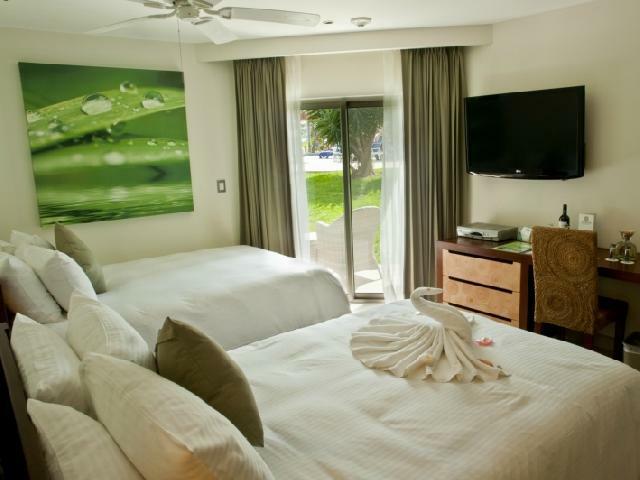 The hotel in Playa del Carmen lies on an extensive natural area at the edge of an exotic jungle surrounded by cenotes, mangroves and natural lagoons: an ecological environment for those who like to live in harmony with nature. 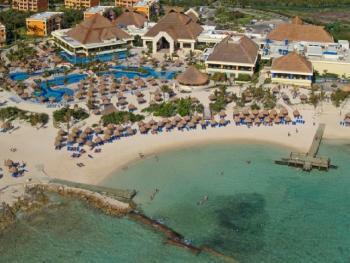 The Sandos Caracol Beach Resort & Spa is situated along a beautiful white sandy beach. 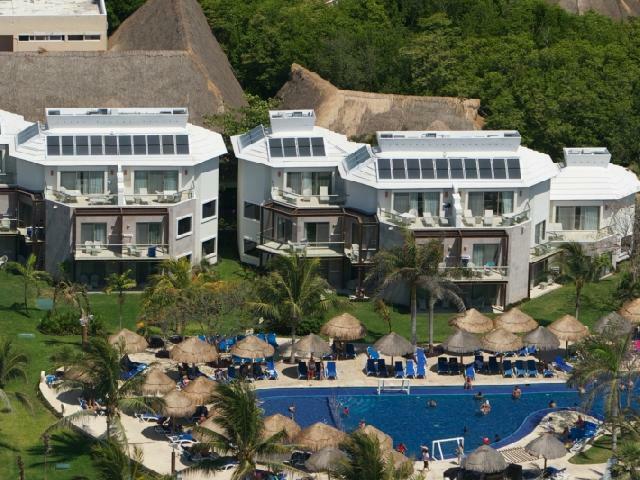 This fabulous resort was constructed in an extensive area close to an exotic jungle, immersed in unique vegetation, mangrove lagoons and nature lakes. 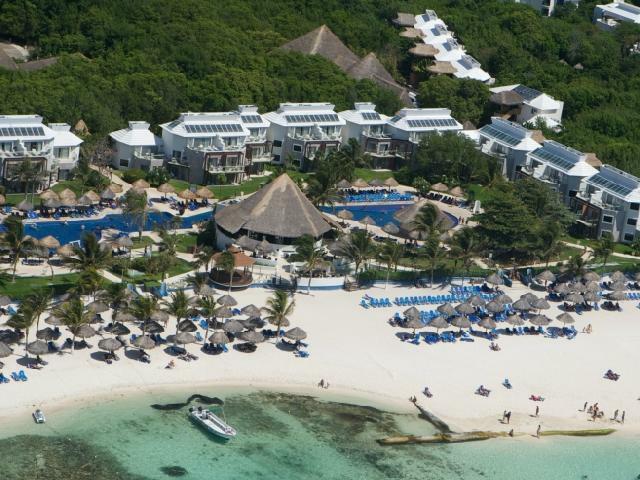 Sandos Caracol is a family eco hotel that will give you the best adventure with your little ones as it has a water park and a fun kids club. 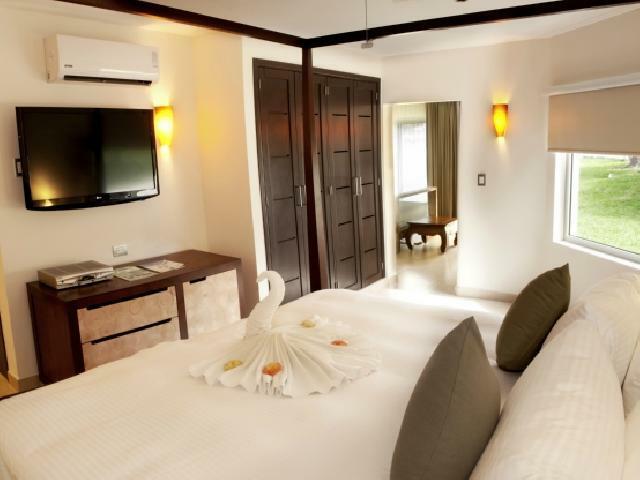 Moreover, this Playa del Carmen hotel boasts gorgeous oriental gardens, delicious a la carte restaurants, tennis courts, nightclub, wedding and meeting facilities and much more. 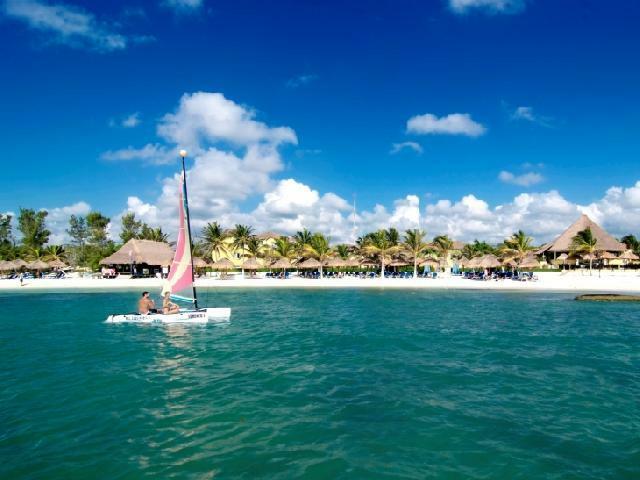 If you love nature, animals and the turquoise waters of the Mexican Caribbean, this is the perfect paradise for you! Hotel does NOT accept Spring Breakers. El Gaucho Grill and Steakhouse offers à la carte service. El Templo Asian Restaurant feautres Asian cuisine and à la carte service. Las Máscaras buffet features delicious Mexican food. 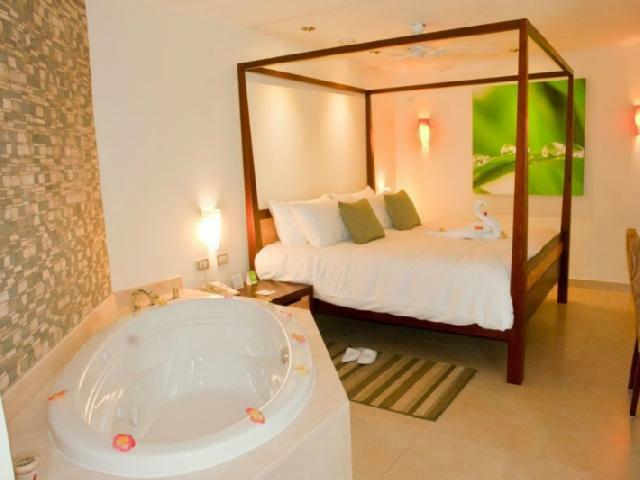 La Laguna buffet is the resort\'s main restaurant, offering a variety of international food.